Why we need interface ? Android auto interface serves to connect android navigation box , front camera , rear camera , 360 bird view cameras , DVR , mobile phone mirror-link , DVB-2 module , DVD module etc . 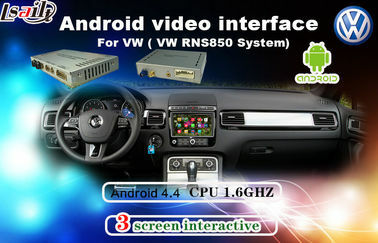 Through auto interface,all devices which you connected can be displayed on car's screen . 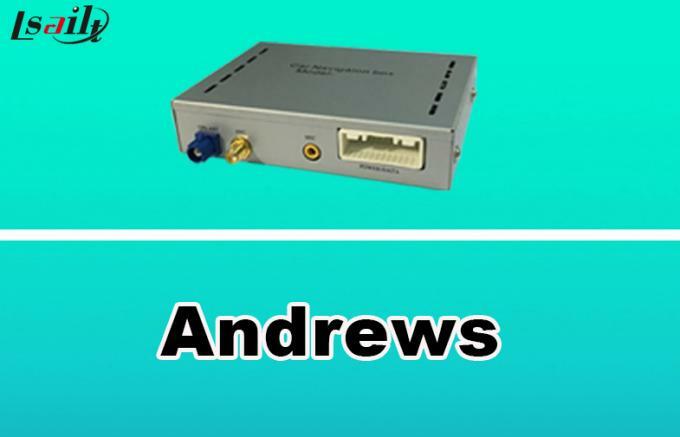 Android box support to connect network . So you can download apps such as Youtube , Google online map , Facebook, Gmail etc . Support YouTube and Facebook , so that you can enjoy a most entertainment time during trip . Can run online map , you can know real-time traffic information during driving . Enable to receive and send email . You can work and deal some urgent working things on the road. With muti-language for choose. It can meet worldwide customers’ requirement. Support Mobile phone Android/IOS mirror-link. You can show pictures or video from smart-phone to car’s screen. 1080P video play . It allows you to enjoy a High quality video. 1. Can I get a sample for testing before order? Re: Yes. We can offer sample for test before you order.But you should pay for it . 2. How do I get a detailed quotation? Re: Please send us the photos for center console of your car and let us know the quantity you want, so that we can offer the quotation soon. 3. How do I know your quality? Re: Sample can offer before order. 4. Are you trading or factory/manufacturer? Re: Lsailt is a 100% manufacturer with professional teachnical team based in Shenzhen, welcome to visit. 5. How do I trust you and your company? 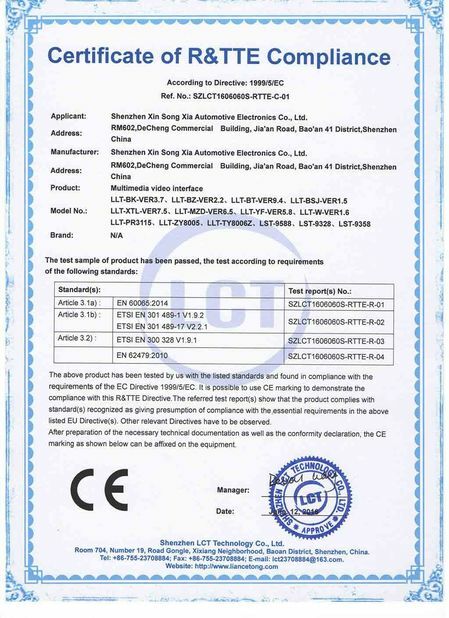 Re: Lsailt is an manufacturer with official factory and office under Shenzhen China . 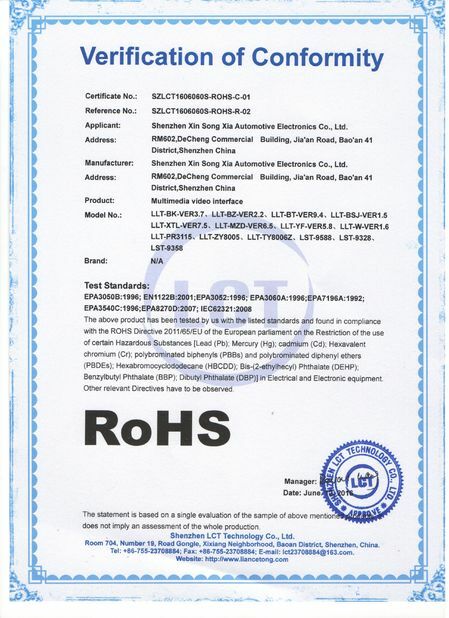 It runs with official certificate .